The McKinsey Global Institute report titled “Disruptive technologies: Advances that will transform life, business, and the global economy” identifies 12 technologies which could drive economic transformation in the coming years. Top of the list of the 12 technologies is mobile internet. Mobile internet has the potential to deliver improved productivity, cost savings, and EHS outcomes for the resource sector. Automation in mining is set to not only improve safety but also streamline operations. 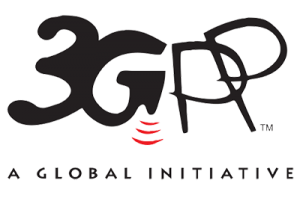 Challenge Networks is delivering enterprise 4G/LTE wireless broadband solutions today. We have completed two operational networks to date: Beach Energy (South Australia) ; and Goldfields Australia (Western Australia). Network expansion for both is already underway. With our partners Cisco & Nokia we provide full turnkey solutions for LTE. The Cisco Premium Mobile Broadband (PMB) solution is a comprehensively tested, end-to-end system, framework and architecture for enterprises to use to deliver private LTE wireless network services, to their requirements, at specified locations. It has been developed to meet the unique design, performance and operational needs of enterprises in a range of industry verticals, including mining & resources, energy, utilities, transport, manufacturing, public safety and defence. Specifically, PMB aims to to address the control, capability and customisation requirements that inherently essential when organisations look to deploy their IoT and mission-critical production applications over LTE; whether machine-to-machine, human-to-human or human-to-machine. It provides a solution for industry verticals that have specific expectations for coverage, uplink/downlink performance (ie. cell design), traffic control, agility and speed to customise, robustness and availability that cannot be met in a commercially attractive way by public LTE networks. The Cisco Premium Mobile Broadband system fits a range of use-cases and supports a range of human-to-human and machine-to-machine communication roles in production, industrial networks. Common use-cases include Asset and Fleet Management on the path the Vehicle Autonomy, staff communications, land-mobile radio communication integration / migration, mobile application delivery, video surveillance (for situational awareness) and telemetry / telecommand capture. With our partner Metaswitch we can also provide a complete carrier grade, standards compliant LTE voice network (Voice over LTE or VoLTE) with IMS and TAS. 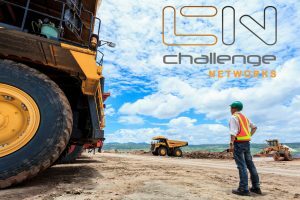 Challenge Networks can provide a flexible pricing model to suit your business needs including leasing arrangements. Please call our representative today for further information on how we can help you deliver a wireless broadband solution for your mine operations.